Once again, the Italian Wineries Guide rewards Cantine Florio with the prestigious 3 footprints. 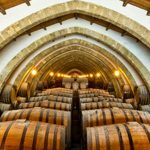 Cantine Florio – Florio Winery in Marsala has been crowned “place to visit” by Go Wine, association promoting wine tourism and wine locations in Italy, that has once again presented it the prestigious “3 footprints” certification. Go Wine’s 2018 Italian Wineries Guide’s “footprints” are awarded to those wineries that have achieved the highest overall score in the Venue, Hospitality and Wines categories. This certification demonstrates that Cantine Florio, a location where history and innovation meet creating evocative spaces that are suitable for any occasion, is the perfect place to sample delicious wines and “get lost”. This recognition is a testament to the exceptional beauty of Cantine Florio, that gives meeting planners the opportunity to organise unique business events in an unconventional and breathtaking venue. 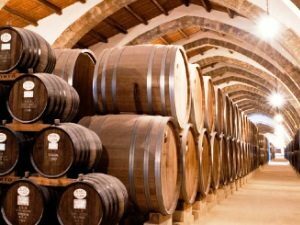 Built in 1833, Cantine Florio is part of the circuit of Marsala’s and Sicily’s excellence, and welcomes every year thousands of visitors from all around the world. Cantine Florio has 6 halls (3 of which connected) that can host up to 350 people, 300 for the buffet and 500 standing. The wonderful Mediterranean garden can host up to 1,500 people.